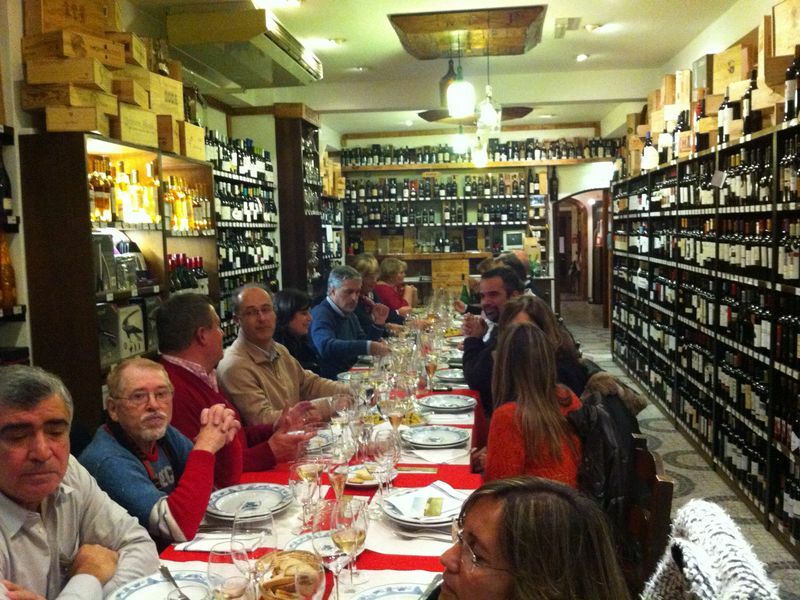 RWAF members enjoying a wine dinner in Portugal. Every year, the Rotarian Wine Appreciation Fellowship (RWAF) members plan exciting wine-related events at the annual RI Conventions. Claire Larson, a member of the Rotary e-Club Porches International and an avid wine aficionado and collector, volunteered to plan our Fellowships’ activities at the 2013 RI Convention in Lisbon, Portugal. Through her connections to the local wine trade, Claire set up seven events including nightly wine dinners at different venues, two cooking courses and a wine tour of the Douro Valley. In appreciation for all her work to plan these events, the Fellowship decided to undertake a humanitarian project in the Algarve, Claire’s home base. Immediately, Claire announced food security was her local community’s greatest challenge. I found it hard to believe that parts of Portugal experienced food insecurity and shortages. In 2013, the economy in the Algarve was extremely unstable. 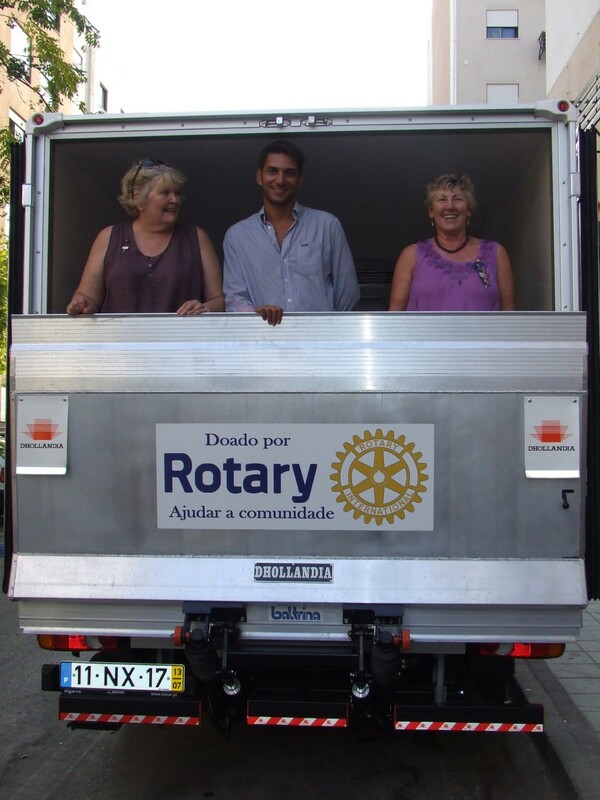 Claire’s club at the time, Rotary Club of Estoi Palace International, was supporting the all-volunteer Food Bank of Algarve and could not provide enough food for the growing demand. The food bank could only distribute the food that was delivered to them and had trouble securing fresh produce and products without a refrigerated vehicle to collect excess food from stores and farms in surrounding areas. RWAF members model the new truck. The vehicle was officially presented to the Food Bank at their Faro warehouse several months later. The project was well-promoted by local and national press, radio and TV network coverage and the Food Bank formally accepted the keys to the vehicle and presented a short video message thanking our Rotary Fellowship for this project. Almost 25,000 people receive monthly food parcels from the Food Bank of Algarve. Thousands of people in the Algarve now have access to more food and healthier fresh produce options. The vehicle is now also used to redistribute produce to a second warehouse in Portimão, about 50 miles away. The Rotarian Wine Appreciation Fellowship includes more than 3,800 members in 62 countries. The group strives to educate Rotarians on how to best enjoy wine and properly pair wine and food while meeting friends with a mutual love for wine from all over the world. The group also heavily emphasized involvement in local and international humanitarian projects to help make this world a better place. The Rotarian Wine Appreciation Fellowship helped few years ago – through a Matching Grant – provide autistic kids with much needed equipment for their school in Ajaltoun, Lebanon. Rotary Fellowships are an important web in the social fabric of Rotarian social interaction!